It’s sort of amazing how confident we are in our inferences, especially after David Hume made so evident, so long ago, that this thing we commonly call a cause is not an observable, empirical fact. I think of the now trendy work being done on so-called material or embodied religion — the plus of this approach, or so we’re told, is that it moves us away from studying ethereal belief and, instead, gets us into the nitty gritty of people’s actual lived experiences. But I don’t know anyone who studies beliefs or experiences; I know people who study texts and then infer intentions encoded in them, I know people who study behaviors and then infer beliefs that motivate them, and I know people who study symbols and then infer meanings that are attached to them, but I don’t know any way to study meaning, belief, or intention as its own thing, for it is always the result of an inference, a postulation, a hypothesis, of the observer’s own making. So everyone studies material things — how could it be any other way? Our eyes look, our ears hear, our noses smell, etc., etc. It’s just that we make different, sometimes competing, inferences based on it. And, sadly, we generally fail to take ownership of those inferences. In fact, if you read the material religion scholars carefully, you’ll find that, despite how they portray their work as being new and improved, they do the same thing — just look for the word “express” in their work and you’ll quickly realize that they too presuppose the existence of disembodied motivations, variously called faith, belief, or experience, as the animating force that is thought somehow to be pushed outward from the private inside and thus onto the household curiosities on which they focus. Their only difference, it seems, is their social history-influenced focus on artifacts relevant to the middle and lower classes, making their critique of former scholarship not a critique of studying belief but, instead, a critique of studying more elite material culture. A valid point, I guess, but hardly a move that makes their method all that new. 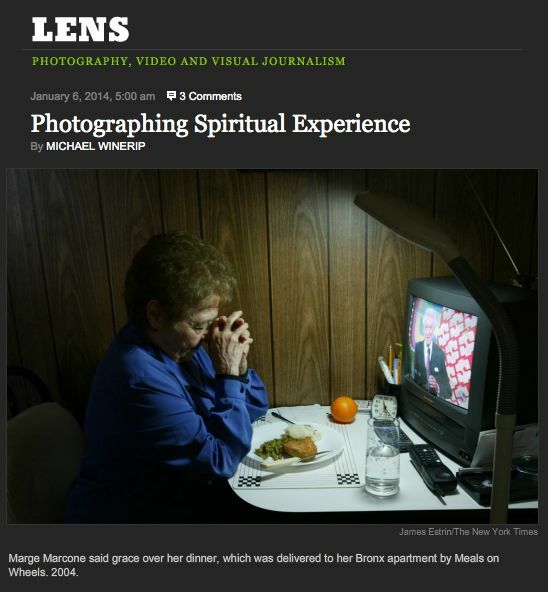 Which brings me all the way back to photographing spirituality; it’s a tricky business, as he says, but why? Because the subject is in your imagination (possibly in the imagination of the person being photographed too, who knows), and you’re looking for behaviors, settings, events that conform to your idea (notice the appearance of flowers among the photos? Of course) — and it’s not always easy getting the hectic world to fit that per-conceived notion. Its hard work. This entry was posted in Faculty Blog, Relevance of Humanities, Religion in Culture and tagged Belief, Culture, Embodied Religion, Experience, Faith, Material Religion, Photography, Spirituality, The Religious Studies Project by Russell McCutcheon. Bookmark the permalink.